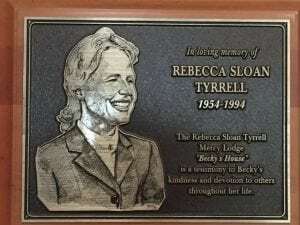 Since its founding in 1998, the Rebecca Sloan Tyrrell Mercy Lodge, also known as Becky’s House, has helped alleviate that longing for more than 11,000 families and patients of St. Peter’s Hospital. 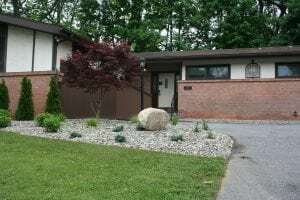 Located on Hackett Boulevard, across the street from St. Peter’s Hospital, Becky’s House was created as a home-away-from-home for long-distance patients and their families. It is dedicated to the memory of Rebecca “Becky” Sloan Tyrrell, who died after a courageous and inspirational struggle against cancer. During her illness, Becky vowed she would help those afflicted with the same disease. Today, Becky’s House not only serves cancer patients, it is used by patients from across the hospital and is often at capacity. 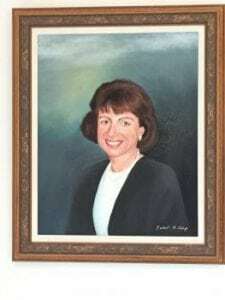 Alberta Harrington called Becky’s House “a blessing.” The mother of four, and grandmother to eight, had no idea when her husband, Roscoe, scheduled cardiac surgery that she would end up spending nearly 40 days living at Becky’s House. Roscoe underwent surgery at St. Peter’s Hospital on December 8, 2016. The 70-year-old was supposed to be discharged eight days later, but developed complications. Instead of going home to Bennington, Vermont, Roscoe ended up in the ICU, undergoing 24-hour dialysis. As his body began to shut down, he developed pneumonia. The first few nights, Harrington rented a hotel room, but the costs quickly mounted. 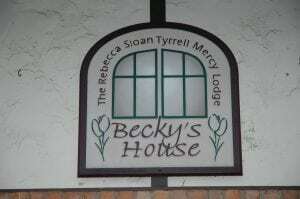 While at the hospital, she noticed a sign on the wall advertising Becky’s House, which provides free housing to eligible guests. It was exactly what she needed. During her husband’s long road to recovery, Harrington, then 69-years old, spent her time shuttling between the house and the hospital. As someone who doesn’t drive, she was more than thankful for the free transportation provided by the hospital’s Security team. She was moved by their kindness, particularly during snowstorms. She recalls how they would spread salt on the ground before she got out of the car, then take her arm and walk her to the front door to make sure she didn’t slip. Harrington said she passed her time by learning how to help the volunteers who run the home. She would vacuum, help with the dishes, fold laundry—whatever was needed—saying it gave her a sense of normalcy in a time that was far from normal. While Becky’s House is often used by families of patients undergoing surgery or chemotherapy, it’s also frequently used by parents whose newborns are in the hospital’s Neonatal Intensive Care Unit (NICU). Andrew Morgan and his girlfriend spent more than 3 weeks at Becky’s House. They had twin girls, born in early May. With homes in Gloversville, commuting back and forth between the NICU at St. Peter’s would be too hard on them, and staying in a hotel was not financially feasible. “It’s been so great. It’s allowed us to see the kids and get rest when we need it,” Morgan said. Becky’s House volunteer Joan Ekergen helped the young couple during their stay. Jo Dziuban is the lodge liaison at Becky’s House. She helps coordinate the work that Ekergen and the other volunteers do daily, like cleaning bathrooms, stocking the kitchen, and keeping track of incoming and outgoing guests. Dziuban was compelled to serve at Becky’s House after she lost her sister, also named Becky, to a 20-year battle with cancer. She said all of the times her sister had to travel for second opinions, there was never a place like Becky’s House, so she had to absorb the additional financial burden. Jane Norris, director of volunteer services at St. Peter’s Hospital, credits the success of Becky’s House to the compassion of those who choose to volunteer their time there, and support it through philanthropy. “Without the dedication of our volunteers and donors, Becky’s House wouldn’t exist,” said Norris, who schedules the volunteers. Norris also helped oversee the home’s recent renovations—the first since the house opened. 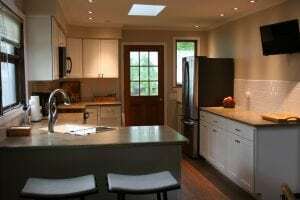 Over the course of two months, crews gutted the kitchen and a bathroom, transforming them into brand new, modern spaces. 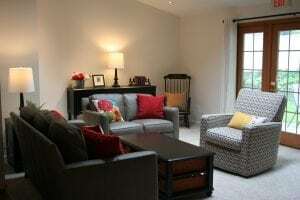 Much of the living room furniture was also replaced, and all new mattresses added to the six bedrooms. While the endowment paid for the work, the day-to-day operations are funded through donations, most often from guests themselves like Harrington. “On Christmas, we now donate to Becky’s House so that the place can continue to give comfort and solace to others like it did to me,” said Harrington, whose husband is now fully recovered and back home with her in Bennington. The only requirement to stay at Becky’s House is that you must live at least an hour away. Stays are typically booked for five days at a time, though that can be extended as needed. To request a reservation in advance, call 518-438-1212. Reservations are taken on a first-come, first-served basis. Additionally, space is often available for patients’ families who do not need an overnight room, but wish to use the facilities for a shower or nap during the day. For more information on Becky’s House, click HERE. If you are interested in making a donation, you can contact the St. Peter’s Hospital Foundation.